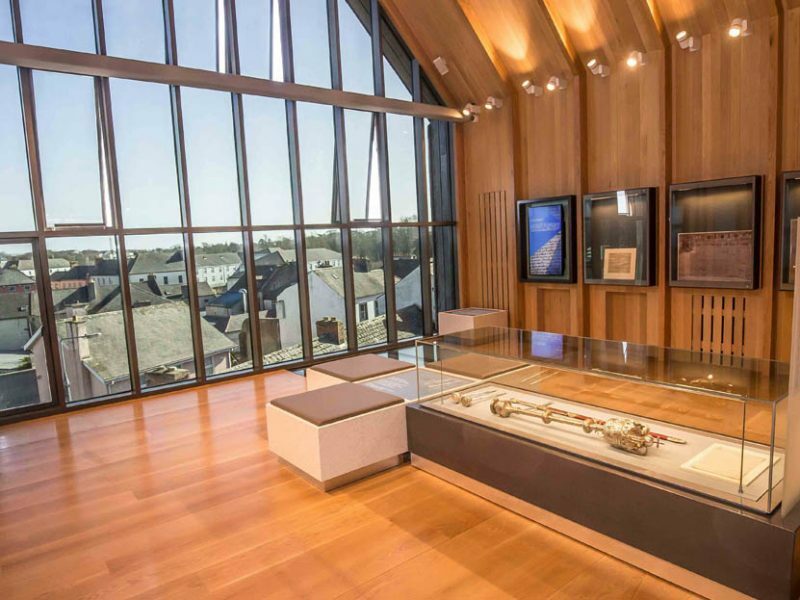 The Marcon Heritage team completed the fit-out of Down County Museum in Downpatrick within a demanding 8 week period. Working closely with interpretive designers Haley Sharpe the project was completed on schedule and within budget. 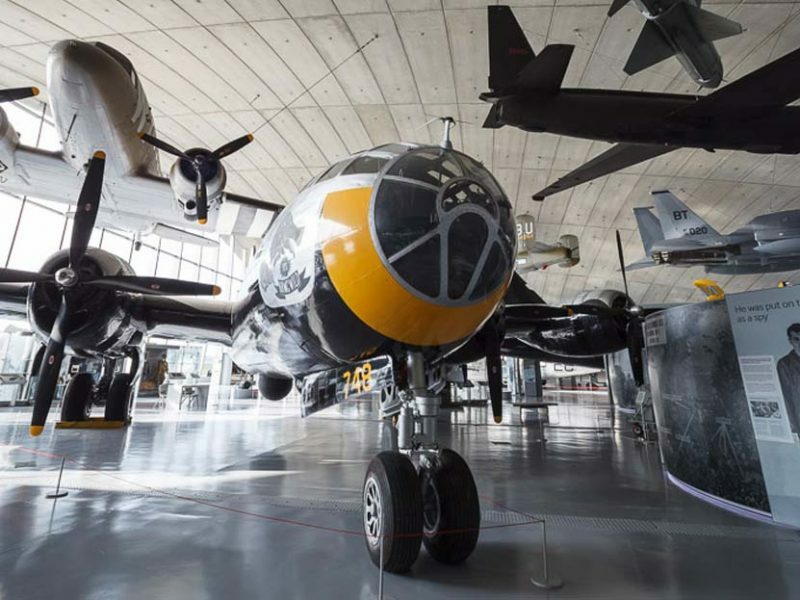 The project contained all of the elements of a modern museum fit-out, from display cases, graphics, interactives, models, AV hardware and software. 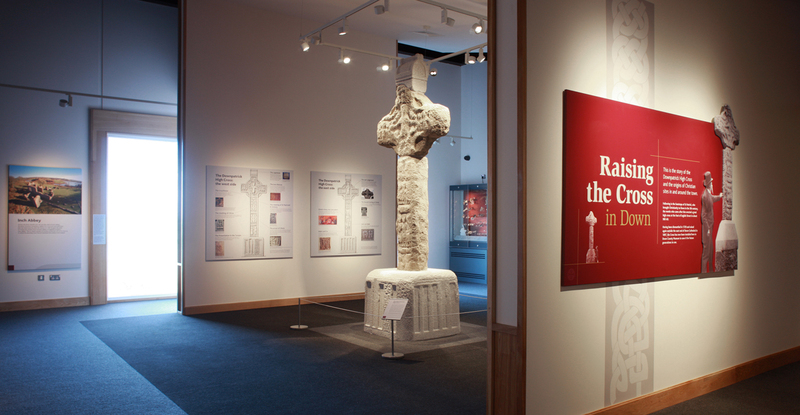 The centre attraction in the museum is the Downpatrick High Cross which will be displayed in the ‘Raising the Cross in Down’ Gallery which will tell the story of the Downpatrick High Cross and its place in the Early Christian tradition of County Down. The famous cross which stood at Down Cathedral has been dismantled and a replica put in its place. The original cross is now on loan to the museum in order to protect it from further deterioration. 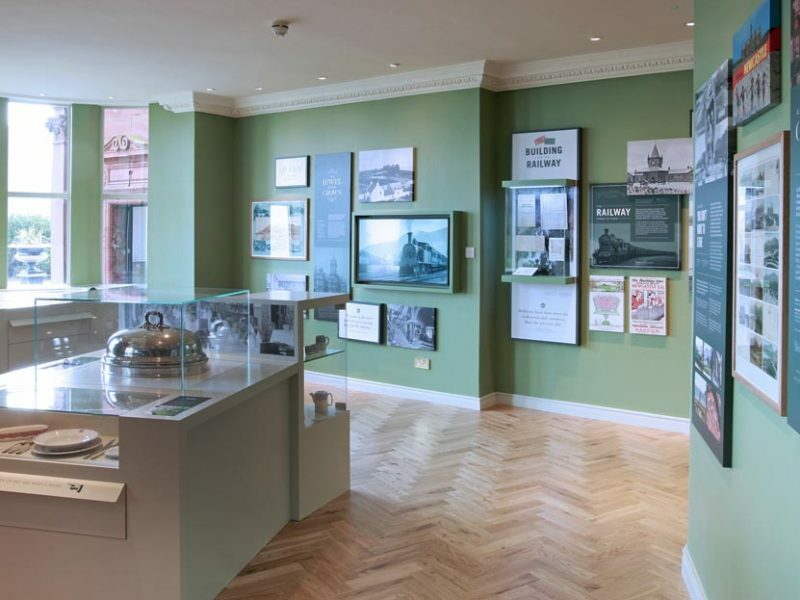 Down County Museum has one of the most significant collections of farming artefacts in a local museum in Ireland which will be housed in the new ‘Harvests from Land and Sea’ Gallery. 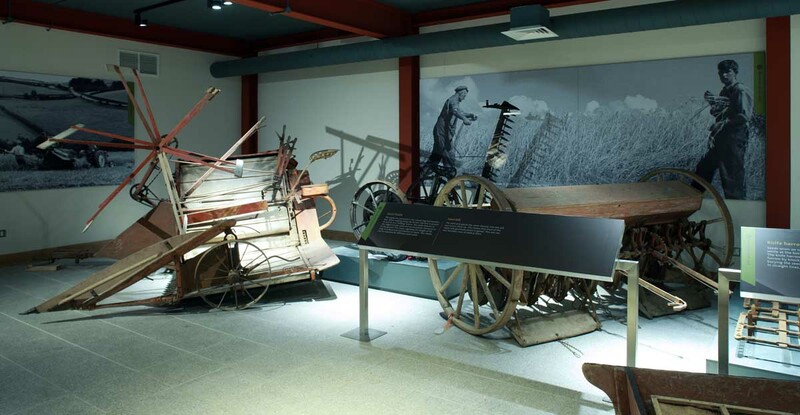 The objects held by the Museum range from large pieces of machinery such as a reaper and binder and a Ferguson tractor, to small hand tools. 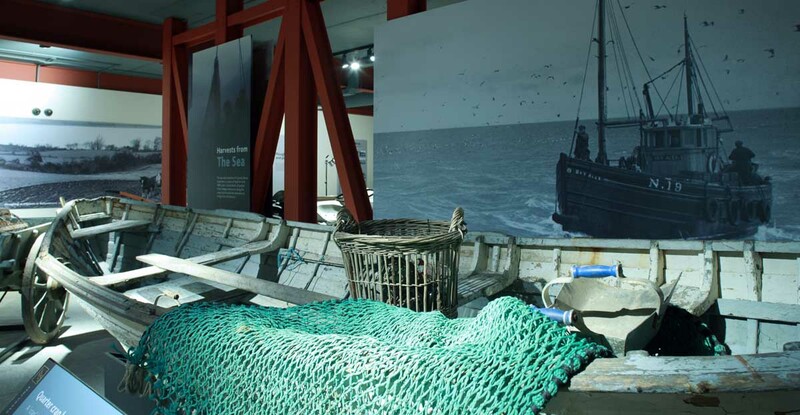 The gallery tells the story of how the farming and fishing industries have developed over time and how our landscape, culture and identity have been shaped by those working on the land and sea. 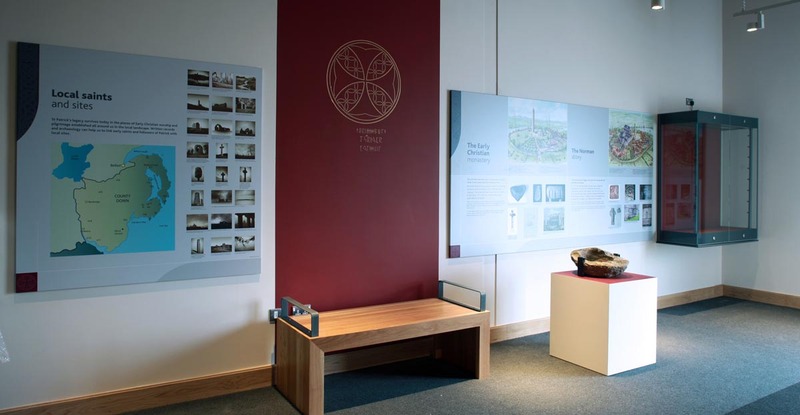 The new space will also showcase the Down County Museum’s maritime collection and the story of the gaol.